Consequently, the student must be (or become) familiar with these and other items in order to complete the solo(s) as written. In any event, some students may be able to “sight read” a particular solo; other students may need additional practice/study time to perform the same solo. Many of the solos include specific information and suggestions about how certain notes/groupings in the solo are played – look for this help in the “Performance Notes” sections at the end of those solos. Even though, general metronome marks are included, it is recommended that the student experiment with expanding the range of tempos – both slower and faster. A few of the solos take their inspiration from famous composers; e.g., Stravinsky, Ives. Other solos find their origins in swing/jazz and tap dance rhythms. 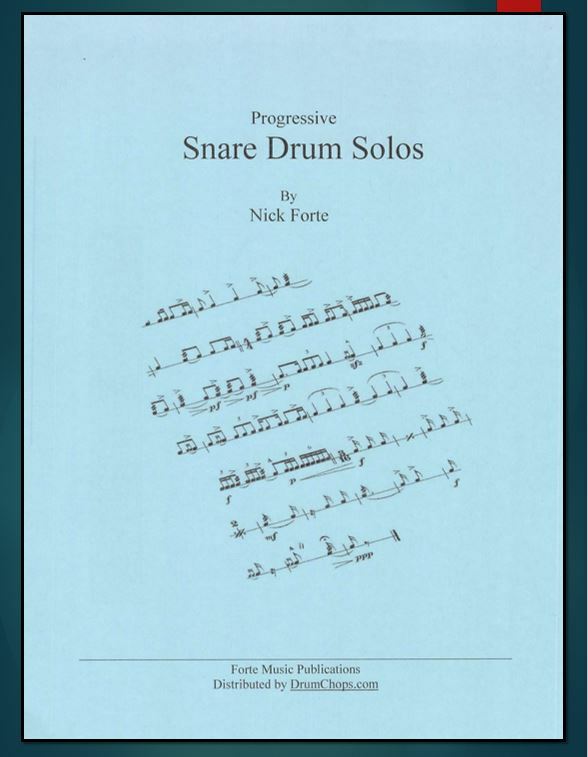 The last six solos (pages 74-85) feature a more esoteric approach to snare drum playing. These solos utilize rhythms that are performed on certain sections of the drum head and/or rim; or, with a stick in one hand and a wire brush in the other hand; or, even clicking the sticks together. The idea here is to widen the sonic possibilities of the snare drum and incorporate different drumming techniques. Alertness, dexterity and conceptual awareness are key goals.